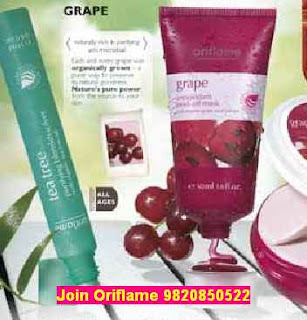 Mrs Jashmi (9820850522), is an experienced Oriflame Consultant. Buy products or Be a Part of Oriflame by joining as a consultant. I am an authorized consultant of Oriflame and I am also Certified beauty expert from Oriflame. To get beauty consultation and to orders products, just call me or send me a SMS on 9820850522. Oriflame offers you a chance to develop a part-time or full-time business opportunity. Wish you all the best in Oriflame!